With his undying quest for perfection, Padma Shri Mohammed Ali Baig is one of a rare breed. Baig is a prominent ad film maker – he joined the industry when he was barely out of school and became the youngest director-on-board of Odyssey, India’s pioneering public limited TV and film production company. He has produced and directed over 400 advertising and corporate films for leading Indian and foreign brands in India, Thailand, and in other countries. However, his greater call to fame, which earned him the moniker ‘Global face of Hyderabadi theatre’, was his transformation from being a teenager who never believed he would perform on stage to performing at landmark venues across the globe. Born into a prominent theatre family – as the son of theatre legend, Qadir Ali Baig (deceased) – he has remained committed to ensuring that his family’s legacy is maintained and given room to flourish. He founded the Qadir Ali Baig Theatre Foundation in Hyderabad in 2005, as a tribute to his father, to promote meaningful theatre in Hyderabad. 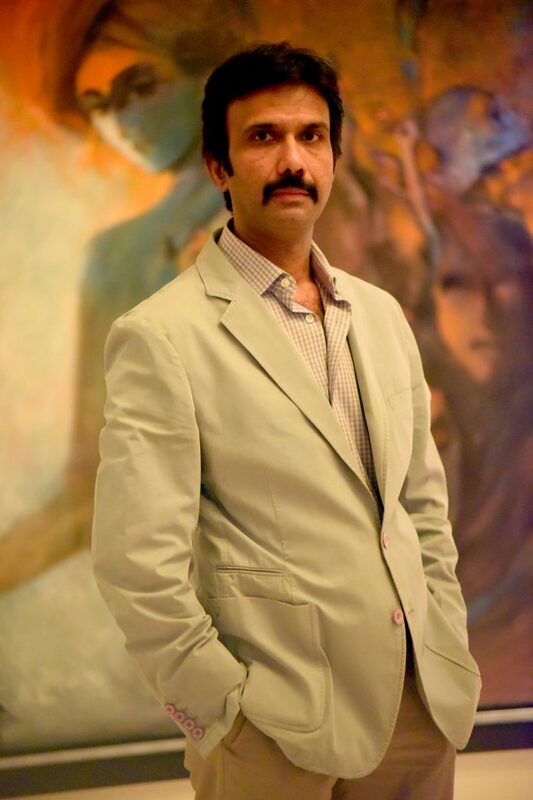 He is also the founder-curator of the Qadir Ali Baig Theatre Festival – one of the most prestigious theatre festivals in the country – that is held annually between October and November in Hyderabad. From ad films to the stage – did you think you would take up theatre as a career? Never – I used to run away from theatre! It was quite intense to see Baba [my father] rehearsing, sets being designed…and since the plays were based on historic stories, the costumes were extravagant. As a child, I used to enjoy watching my father and his co-artistes prepare for days – and then the play would last just one evening. That was a little disappointing [to me] as a child. I did, however, realise that I had an aptitude for design. I used to design posters and tickets, but stayed away from the stage. I loved watching my father on stage and used to wonder how he had so many makeovers in one play. His play Adhe Adhoore had five different looks and I found it amusing. Even then, I never thought I would be on stage – but here I am. Tell us about the very moment you decided on a career in acting. I was busy with my career in advertising, and then we paid a tribute to my late father on his twentieth death anniversary. It was a packed hall with some of the best and celebrated artistes of the country. I was taken aback with the warmth I felt that day when they spoke of Baba – like he was around us. Even after 20 years, here he was, being remembered by his colleagues and friends – that was when it hit me how huge his legacy is! I knew him as my father but that Sunday morning I rediscovered the artiste he was through his peers, whose eyes were moist as they shared anecdotes. Amidst those warm memories that were shared, I found my calling and kickstarted my career in theatre to celebrate my father’s legacy. I have a lot of respect for theatre and I am glad life took this turn. Mohammad Ali Baig and Noor Baig in Spaces. Do you regret that Qadir saab could not watch you perform on stage? Yes, I do! When I see Karthik Raja perform with Ilayaraja sir, Rahul Sharma with Shivkumar Sharma, Ayaan and Amaan with Amjad Ali Khan saab, I feel it would have been a dream come true if my father watched me perform, too. I know for sure he is watching me, because I feel his presence when I am performing. What was your reaction when you found out you were being awarded the Padma Shri? I was elated! However, my mother was the most excited for me. When they called, she picked up the phone. She would usually call me on my mobile phone and leave a message; but that day, she waited for me to come home. She wanted to see the expression on my face when she gave me the news! My mother has been both my mother and father after my dad’s passing, and there could not have been a prouder moment for her. She had raised the bar quite high for me and my brothers, and groomed us to be successful. She is our role model and I owe it to her for believing in my talent. 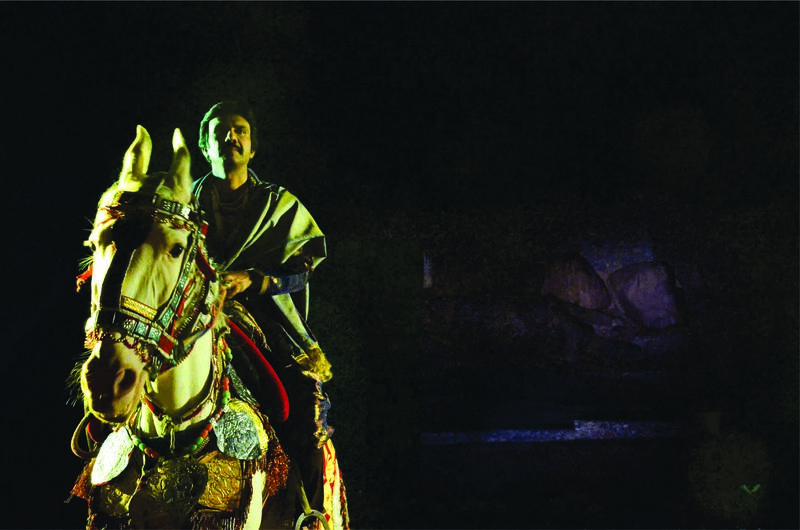 Mohammed Ali Baig atop a real horse on stage in Quli Dilon Ka Shahzada. What is the one belief that holds you to your career in acting? I truly believe that talent is what you are born with and craft is what you can learn and excel at. You cannot teach an actor how to act. It is that inner passion – it is an asset that cannot be taught. You said that one of the happiest moments on stage was during your play in Edinburgh. Tell us more. We premiered our play 1857: Turrebaaz Khan at the Edinburgh Festival Fringe, and the story was of an unsung hero. I did perform across the world – however, the standing ovation that we received here amidst the who’s who of the theatre industry left me speechless. It gave me a sense of great confidence in myself and the path I was on. Before Edinburgh, I performed in a tiny village in France – and, even though they did not understand the language, they were moved by the play. Like they say, art has no boundaries. That was also one of the most memorable moments. In 1857 – Turrebaz Khan that had a world premiere at Edinburgh Festival Fringe. How did you manage to change the theatre industry in Hyderabad and get such huge crowds for your plays at Taramati Baradari? I wanted to revive the theatre industry, with ‘Heritage Theatre’ being the model for it. For Hyderabad, I wanted to stage a play that was close to their hearts. A local love story was the way to go and that is how we came up with Quli Dilon Ka Shahzada. 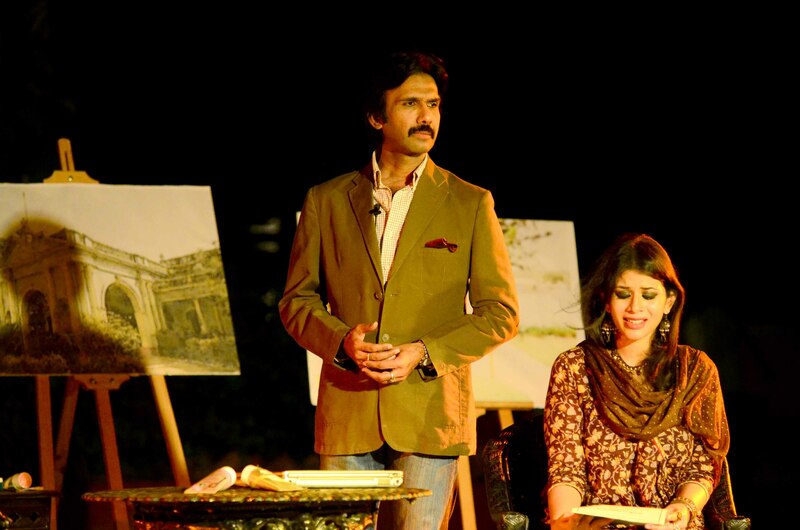 We staged the play at Golconda Fort and people from far distances made it to the play. I could not have asked for more. Taramati Baradari was the site of our first production and it put Hyderabad on the global theatre map! It was a huge investment emotionally and physically. Given the sets to the number of crew members, grand productions cannot be staged anywhere else but at Taramati. Audiences from all walks of life watched the plays here and that has changed Hyderabad’s perception of art forever. Qadir saab’s play, Resham ki Dor, was staged by you. Tell us about the experience. Resham ki Dor was one of my father’s most popular plays, and staging it was a privilege. The play is about an unlikely brother–sister relationship between the Rajput queen, Rani Karmavati, and the Emperor of India, the Mughal king Humayun. The tale is about her sending a rakhi (a wrist-band signifying a woman’s love for her brother) to the enemy at the battle of Panipat. The play has been hugely popular for decades and I am glad today’s audience celebrates our history through our plays.